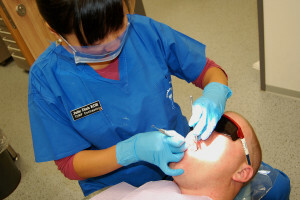 Dental and maxillofacial surgery is a unique field of medicine in that while if often fixes functional issues it also sometimes affects the patient’s appearance. Many surgeries in this category are a unique combination of medical and cosmetic treatments. Dental and maxillofacial surgery clinical trials main focus is dental surgery it may also deal with things like new surgical techniques to reduce scarring, less invasive ways to achieve the same surgical results and ways to get rid of disorders such as sleep apnea. If you have already had surgery, or if you have been diagnosed with a disorder that requires surgery, you may qualify to participate in a dental and maxillofacial surgery clinical trial. What is Dental / Maxillofacial Surgery? Dental and maxillofacial surgery is a specialty of the dental field that is recognized by the American Dental Association. Dental and maxillofacial surgeries are those that correct head, neck, jaw, and mouth diseases, injuries and defects. This includes, but is not limited to, head and neck cancers, cosmetic surgery and craniofacial surgeries. Dentovascular surgery specifically deals with the dental aspect of this field. They handle procedures like impacted teeth, implants and dentures. Many maxillofacial surgeons started in the dental field, although in recent years they often start in the medical field. Other common ailments they deal with include cysts, tumors, skin cancer, lip reconstruction, cleft lip, temporomondibular joint disorder (TMJ), and sleep apnea.